Geared for all levels, beginners will learn the basics of Temari (Japanese embroidered string balls): wrapping, measuring and marking, and traditional stitching techniques, using pearl cotton and metallic threads. Those with experience will be introduced to new, challenging geometric patterns and ideas to expand your skills. 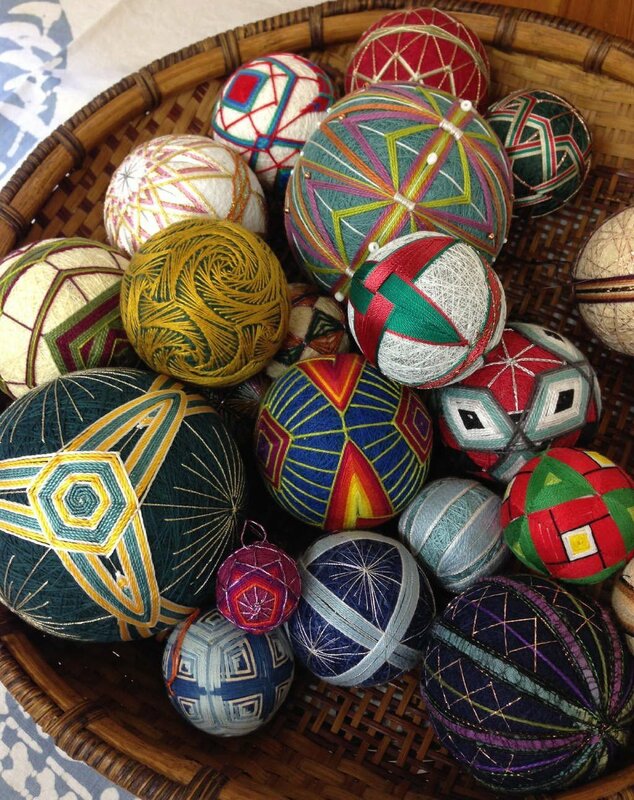 All will be inspired and encouraged to experiment with colors and different-sized balls as well, and could take home as many as three completed balls, plus a few to finish at home.